Yoshinoya is one of the few fast food Japanese restaurants that I keep coming back to because of their best-value beef bowl or gyudon. And recently, the restaurant has decided to rebrand themselves and bring to Filipinos something new yet familiar with the opening of their latest branch at the second level of Glorietta 1. The ambiance of the place is lively yet cozy. 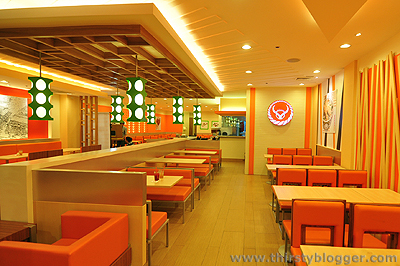 Their signature orange is still their primary color, with green lamps that accent the dining area well. Their menu features a lot of the old dishes I’ve come to love, but there’s also several additions like the fried chicken and of course, new drinks! Now they have Green Tea, Mixed Fruit Tea and Apple Tea. 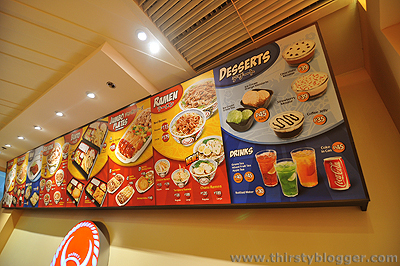 I’ve tasted all of them that day and I must say that my favorite is their Apple Tea because it goes very well with their famous beef bowl. 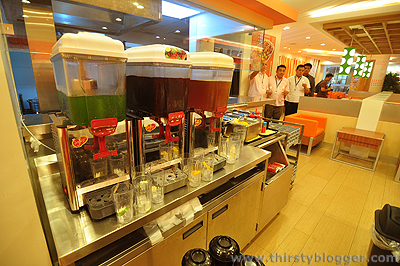 But I think, judging from the drink station, the Green Tea is more popular. I think I’ll give that a second try next time I’m Yoshinoya. 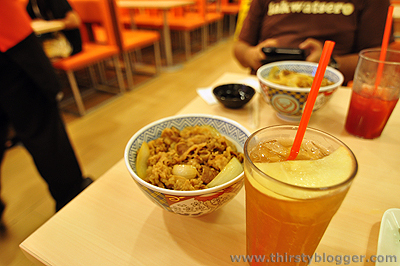 Anyway, the next time you find yourself in Glorietta 1, I hope you can check out Yoshinoya. 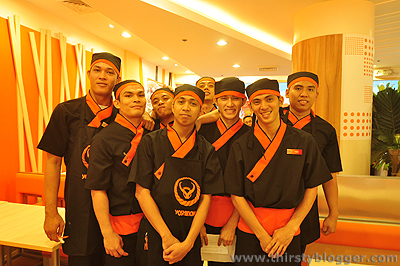 Their friendly crew will surely be there to help you satisfy your Japanese food cravings. 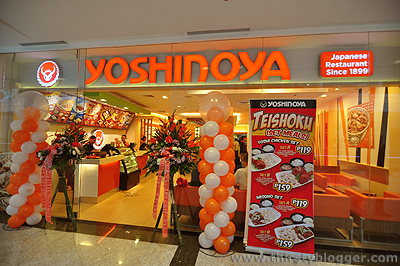 Yoshinoya is an international brand with outlets in the USA, Hong Kong, China, Singapore, Malaysia, Taiwan, Indonesia, Thailand and of course, here in the Philippines. Currently, they have 5 branches in the city located at SM Megamall, SM North Edsa, SM Mall of Asia, Robinsons Galleria and the latest, in Glorieta 1.